San Diego, CA (March 26, 2019) – HCAP Partners, a California-based private equity firm and recognized impact investor, announced its investment in Confirm BioSciences, a leader in high-quality diagnostic testing and health & wellness solutions for both the corporate community and individual consumers. Terms of the transaction were not disclosed. Tim Bubnack, Managing Partner, and Bhairvee Shavdia, Senior Associate, led HCAP Partners’ investment. Launched in 2008, Confirm BioSciences is a woman-owned and led company and has built an innovative marketing services platform that handles all components of drug and wellness kit testing from sourcing to selling, including customer support and feedback to vendors. The founders and senior management team at Confirm BioSciences have strong values alignment with HCAP Partners’ Gainful Jobs Approach™ and the company has been ranked on San Diego Business Journal’s Best Places to Work list four consecutive times. HCAP Partners’ diligence process was supported by the advisory services of Jon Vance, CFA, CPA of MedDx Capital Advisors, who provided additional strategic guidance throughout the transaction. 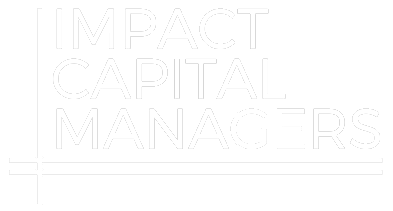 HCAP Partners was founded in 2000 and is a provider of mezzanine debt and private equity for underserved, lower-middle market companies throughout California and the Western United States. The firm seeks to invest $2 million to $10 million in established businesses generating between $10 million and $75 million in revenues in the healthcare, software, services, and manufacturing industries. HCAP Partners has invested in over 60 companies since it was founded and through ongoing, active engagement with portfolio companies the team at HCAP Partners provides value-added resources to help optimize performance and increase enterprise value. The firm has been recognized as an ImpactAssets 50 fund six years running and, through its Gainful Jobs Approach™, works to facilitate a positive impact on underserved businesses, their employees, and their communities through active portfolio engagement. Partners Tim Bubnack and Frank Mora and Principals Hope Mago and Nicolas Lopez lead HCAP Partners’ investment team. For more information, please visit www.hcapllc.com. Confirm BioSciences is a pioneer in high-quality diagnostic testing and health & wellness solutions for both the corporate community and individual consumers. Our product portfolio ranges from instant and lab-based testing solutions for drugs of abuse, including HairConfirm® (hair-based) and Drug Confirm® (urine-based), to HealthConfirm®, a line of testing solutions for health & wellness hormones and neurotransmitters, with all results delivered in user-friendly reports. As experts in the drug testing and health & wellness markets, Confirm BioSciences prides ourselves in supporting various organizations and projects that help families create a drug-free home. Confirm BioSciences is headquartered in San Diego, California. For company information, visit www.confirmbiosciences.com.